In this game, the mouse has decided to have cheese for dinner no matter what it takes! 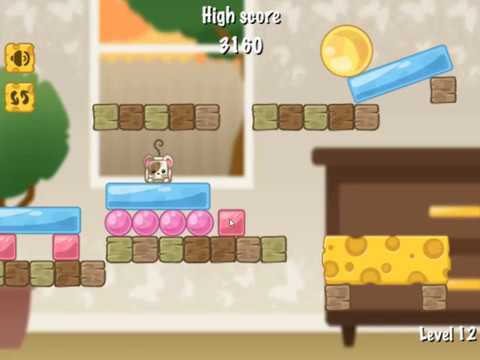 Getting the rodent to the animal's favourite food has never been this challenging: solve 20 levels with different degrees of difficulty by clicking the tiles to move the construction without letting the mouse fall. Good luck and have fun!